bitLanders' collaboration with BNESIM, the 'World's Leading Travel Communications Provider'. Great news! 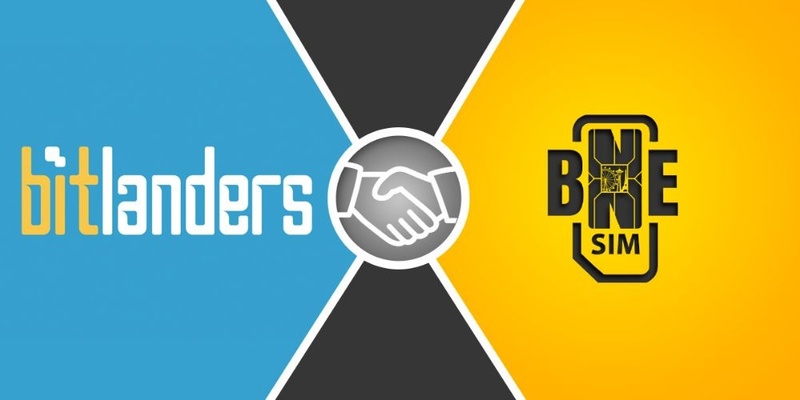 bitLanders has recently partnered with BNESIM, nominated in the World Travel Awards 2018 as the "World's Leading Travel Communications Provider", by providing its service to our users. You may use your bitMiles Loyalty Points (BM) to activate a BNESIM Virtual SIM and get up to 200 minutes of International Calls without expiration. BNESIM has been nominated in the World Travel Awards 2018 as the "World's Leading Travel Communications Provider". BNESIM is a global roaming-free mobile operator which offers worldwide data, voice and video calls for consumers, enterprises and IoT devices, allowing global travellers to save up to 95% on roaming charges. A SIM for the data, an app for the voice. 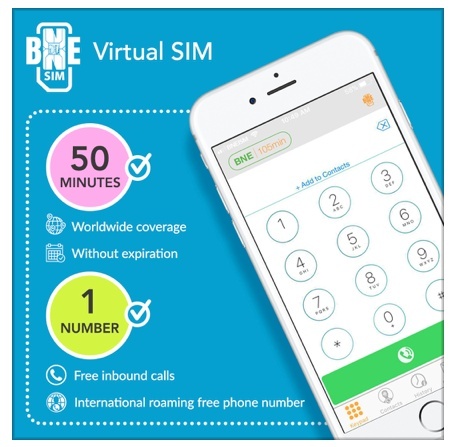 The SIM: BNESIM International data SIM card, offering 3G/4G internet in 170+ countries with a range of cost-effective plans, without registration or subscription fees. The SIM card and its credit never expire and can be reused even after a long time. 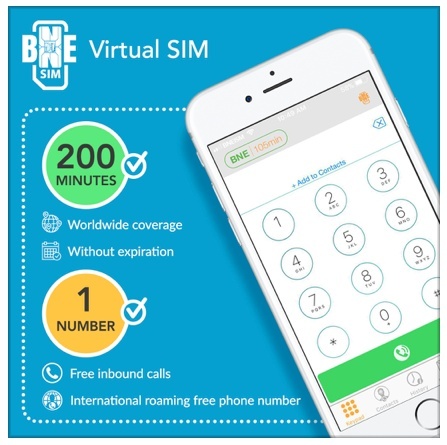 The app: BNESIM Virtual SIM adds multiple phone lines and numbers to your phone from any make and in mobility, without any roaming costs. 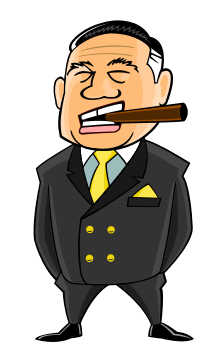 The customer receives traditional phone calls entirely for free and who is calling pays a national call. Free trial: apps.bnesim.com (iPhone/Android). 15% discount on the BNESIM's products! We are offering a 15% discount on all the BNESIM's products which are available in our Online Store! To purchase, please click on the "Shopping cart" icon on the top left of the page, choose the "bitGoodies" and then "Telephone credit". 200 minutes to make international calls without roaming fees and one new phone number to receive unlimited calls for free. 50 minutes to make international calls without roaming fees and one new phone number to receive unlimited calls for free. 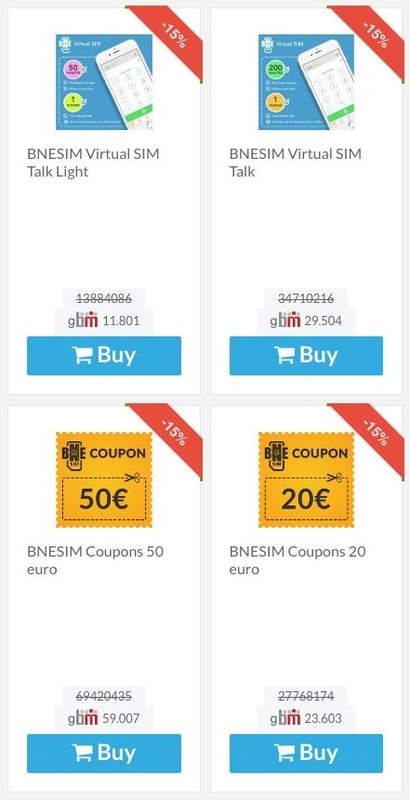 Download BNESIM app from apps.bnesim.com, choose your number from 42+ countries and keep in touch with your family, friends, and colleagues with no worries or doubts about roaming charges. This voucher will give you a discount worth 20€ on any of the products available on BNESIM Store. This voucher will give you a discount worth 50€ on any of the products available on BNESIM Store. Visit https://www.bnesim.com/store/, select the product you need, add it to your cart and apply the discount code upon checkout.